Home Board index Your Photos..
Nice looking camera. I hope that the film proves that it it is working OK. According to Basil skinners MPP book the Ross Xpres lenses on Microcords could be a bit variable, it wasn't the optics themselves rather the assembly. I've never heard anyone complaining about them though.The Xpres on my Microcord much sharper then the Yashinon on my Yashicamat 124 or Tessar on my Rolleiflex Automat. 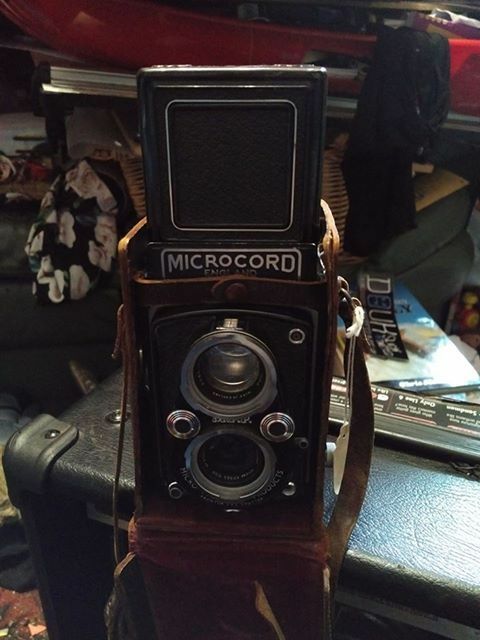 You might find this useful http://lostlabours.co.uk/photography/ca ... rocord.pdf it's a précis of the Focal Press Microcord Guide. Many years ago I owned a Rolleicord Vb, and the performance of the Xenar lens on that was distinctly underwhelming.